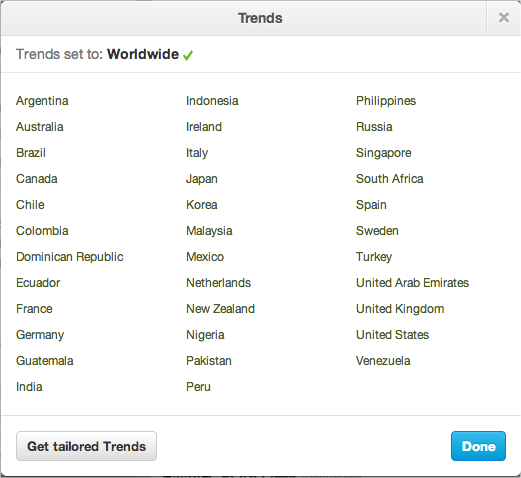 Twitter has expanded its Trending Topics feature to 100 more cities around the world, including Istanbul, Frankfurt, Guadalajara, and Incheon. Now, users will be able to scan through and see what the most popular trend people are talking about around their neighborhood and city — over 200 locations. 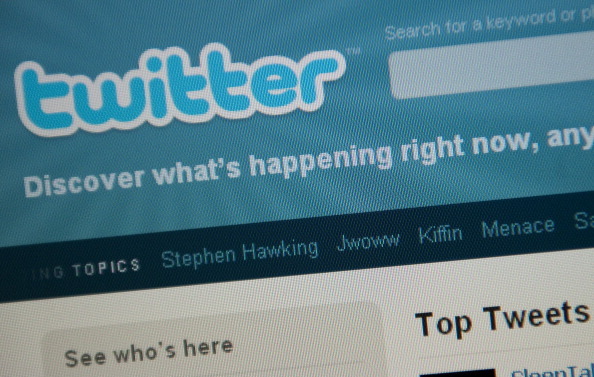 As more companies and people take to Twitter and use hashtags to help form conversations around communities, the Trending Topics feature has been good as it helps people discover what’s happening around the world. Events like the US Presidential Election, the Arab Spring, Hurricane Sandy, and other major events have all been listed. Even some that were downright amusing are listed, such as #YouCantBeTakenSeriouslyIf or #MentionATwitterBestFriend. And it doesn’t necessarily have to be a hashtag, but a topic many people are discussing. In fact, here in the United States, at the time of this post, Dave Brubeck, the legendary jazz musician, is listed as a trending topic. The social network says that it is uniquely situated to “capture the pulse of the planet, and the pulse of your city” through Trending Topics — something that it says will display topics people care about. Users can choose the country or city that they’re in or closest to and instantly will be shown the latest topics being discussed — think about it like your local news station, but for Twitter.